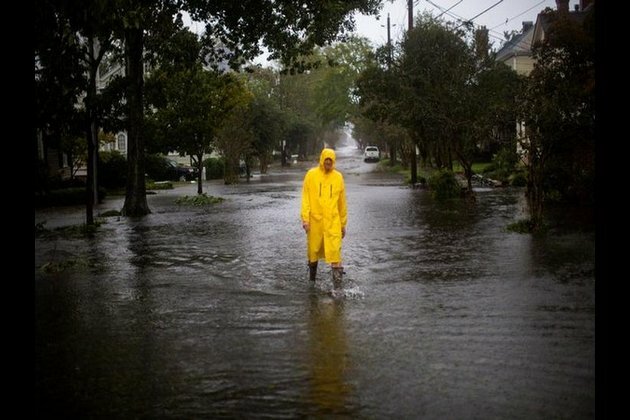 Washington DC [USA], Oct 11 (ANI): Hurricane Michael made landfall in the northwestern parts of Florida on Wednesday afternoon and wreaked havoc in the region, flooding streets and tearing houses apart. Officials confirmed that a person has been killed in the storm in northwestern Florida. The monstrous squall, which made landfall as a Category 4 storm, ripped off roofs and structures of homes in Mexico Beach, while the gusty winds slammed down trees and snapped power lines, CNN reported. Torrential rains are battering the Panhandle city of Apalachicola. In Panama City Beach, winds reached a speed of 100 mph and tore houses apart due to storm surges. Apart from threats of flash flooding and storm surges up to 14 feet high in southern Alabama and Georgia, a tornado watch has been issued in many parts of northern Florida and south and central Georgia until late Thursday night. Michael was later downgraded to Category 3 after 5 pm (local time) on Wednesday, which still means that it is still a major storm with wind speeds packing up to 129 mph. It is the strongest storm to hit the continental United States since 1992. Terming it as "extremely dangerous", the National Weather Service deemed the storm as life-threatening. Torrential rainfall is expected along the northeastern Gulf Coast.